Though famine still takes its toll on the unfortunates across the sea, the greatest nation in the world has transcended such concerns. Here, our Statue of Liberty's upraised torch beckons with the message: In America, our appetizers are endless. In a bid to have its logo engraved on Mount Rushmore alongside our nation's other greatest heroes, indistinguishable flair-bedecked roadside dining hut TGI Fridays is now offering "endless appetizers" to you, the consumer, for the meager sum of $10. 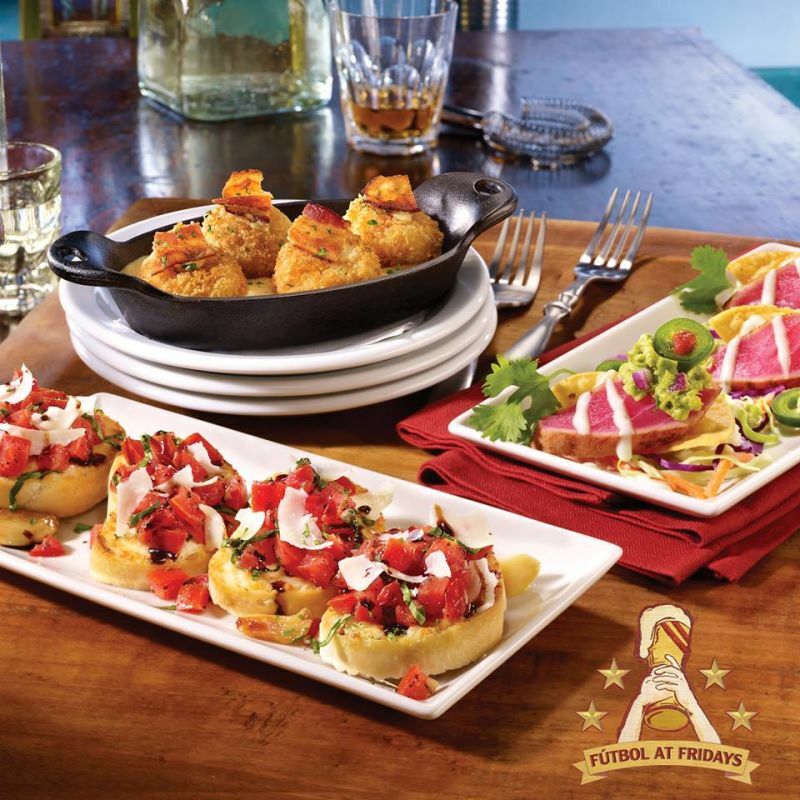 For less than the price of a single appetizer at a "good" restaurant, TGI Fridays will allow you, the consumer, to consume an unlimited amount of the following foodlike items: Loaded Potato Skins,	Pan-Seared Pot Stickers,	Mozzarella Sticks,	Garlic & Basil Bruschetta, Tuscan Spinach Dip, Boneless Buffalo Wings,	Crispy Green Bean Fries. It is our fervent hope that this promotion succeeds in flooding each and every TGI Fridays location with large groups of America's homeless, all of whom will sit at a table all day sharing a single order of endless appetizers, until TGI Fridays is driven out of business, victims of their own generosity. We offer TGI Fridays our encouragement, and watch on in horror.